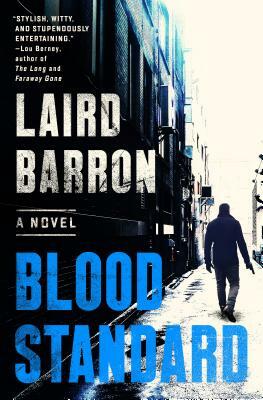 Award-winning author Laird Barron makes his crime fiction debut with a novel set in the underbelly of upstate New York that's as hardboiled and punchy as a swift right hook to the jaw--a classic noir for fans of James Ellroy and John D. Macdonald. Isaiah Coleridge is a mob enforcer in Alaska--he's tough, seen a lot, and dished out more. But when he forcibly ends the moneymaking scheme of a made man, he gets in the kind of trouble that can lead to a bullet behind the ear. Saved by the grace of his boss and exiled to upstate New York, Isaiah begins a new life, a quiet life without gunshots or explosions. Except a teenage girl disappears, and Isaiah isn't one to let that slip by. And delving into the underworld to track this missing girl will get him exactly the kind of notice he was warned to avoid. Laird Barron was born in Alaska, where he raised huskies and worked in the construction and fishing industries for much of his youth. He is the author of several short-story collections and two novels, and his work has also appeared in many magazines and anthologies. A multiple Locus, World Fantasy, and Bram Stoker Award nominee, he is also a three-time winner of the Shirley Jackson Award. Barron lives in Kingston, NY.